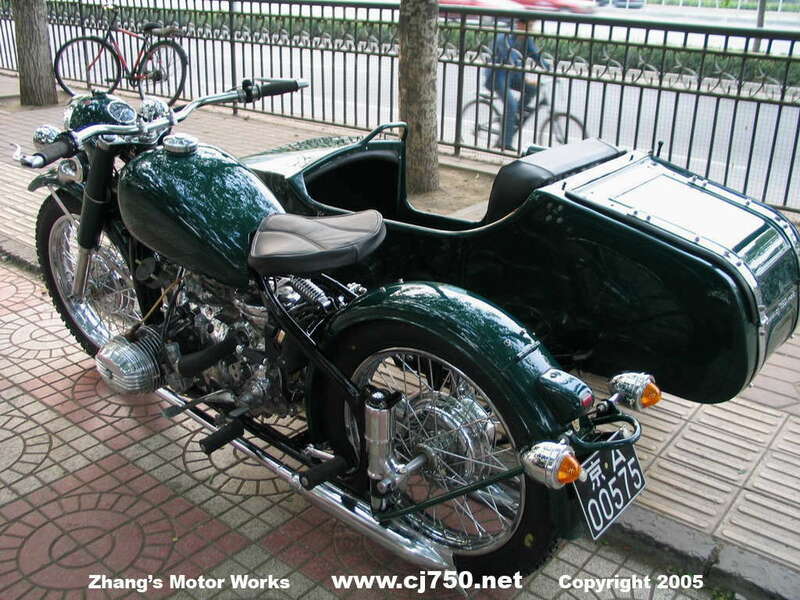 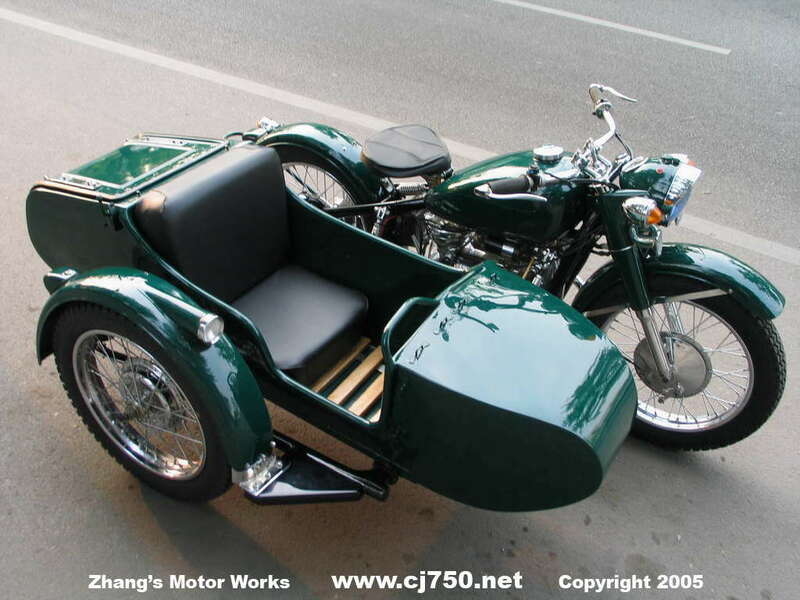 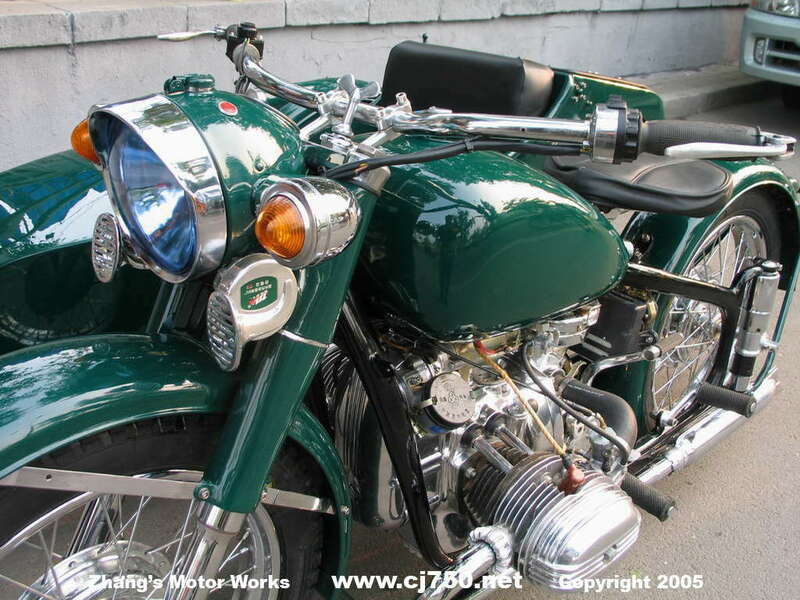 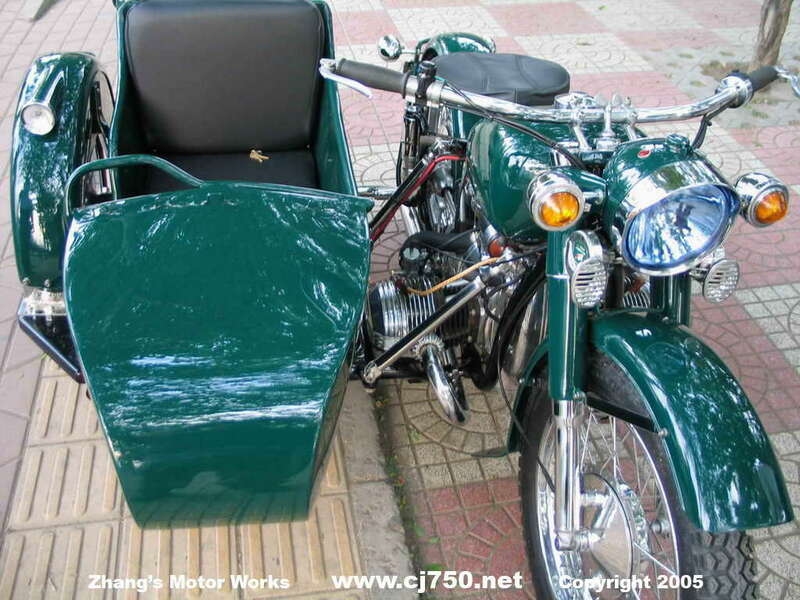 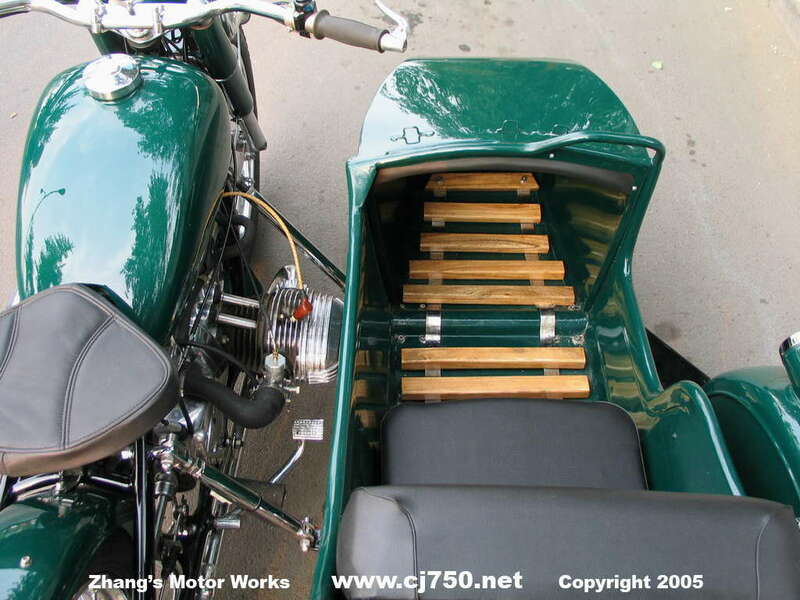 This premium Chang Jiang 750 sidecar was our first premium restoration. 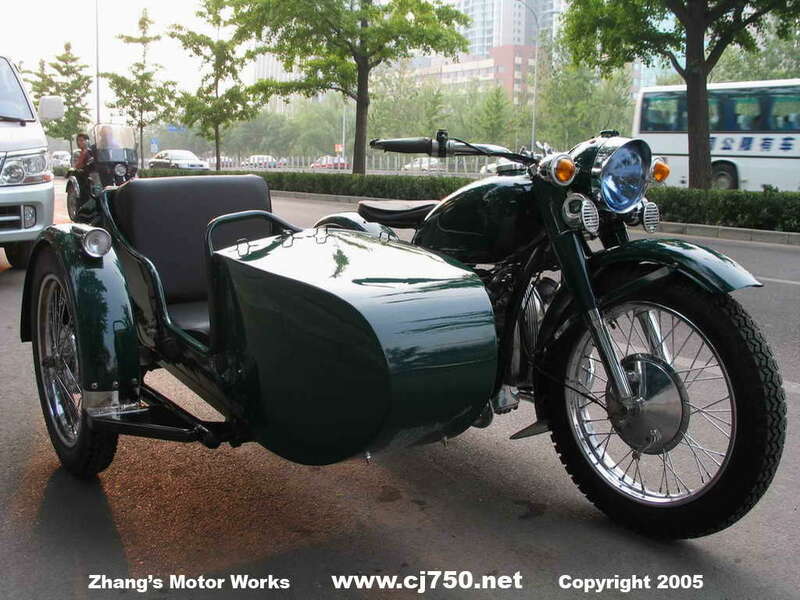 It has a super polished engine, Beijing "Jing A" plates, excellent quality chrome, high performance carburetors, sectionalized wiring, high speed 4th gear, 12 layer paint job, side brakes, re-welded frame (we do not like to use Bondo because it will crack under pressure from rough rides). 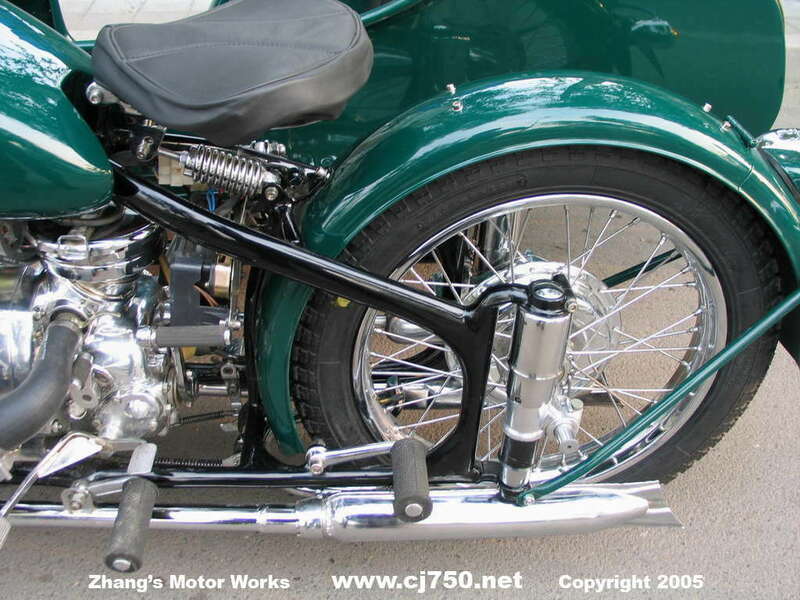 The customer was so happy with the quality of our work and all the custom details that we did to make the Chang Jiang 750 beautiful and more importantly to be a high preformance that he ordered nine of them them for his friends and family. 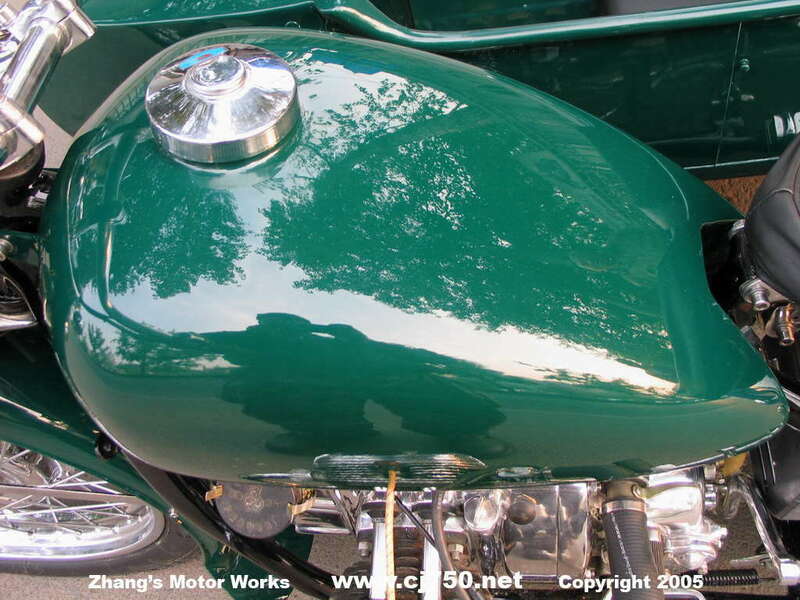 Check out the quality of our polishing. 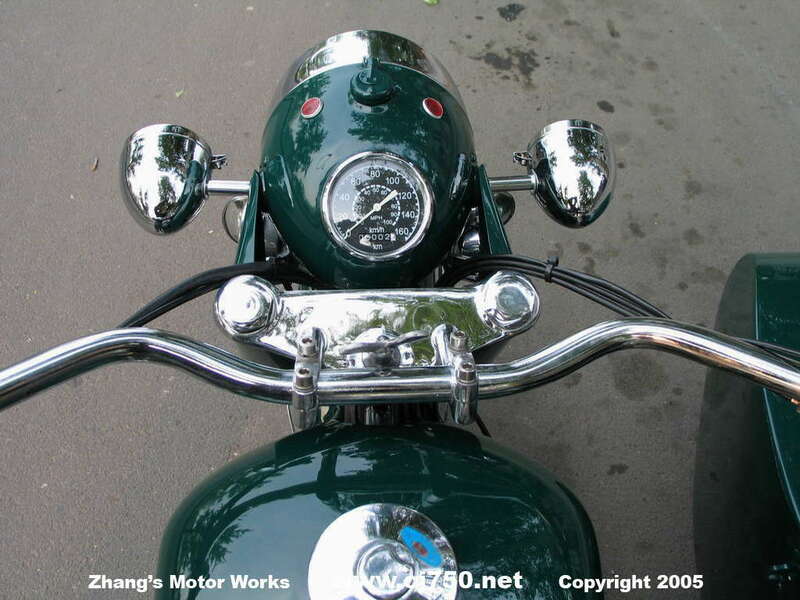 It shines like Chrome and importantly we give a standard price for all of our customization work. 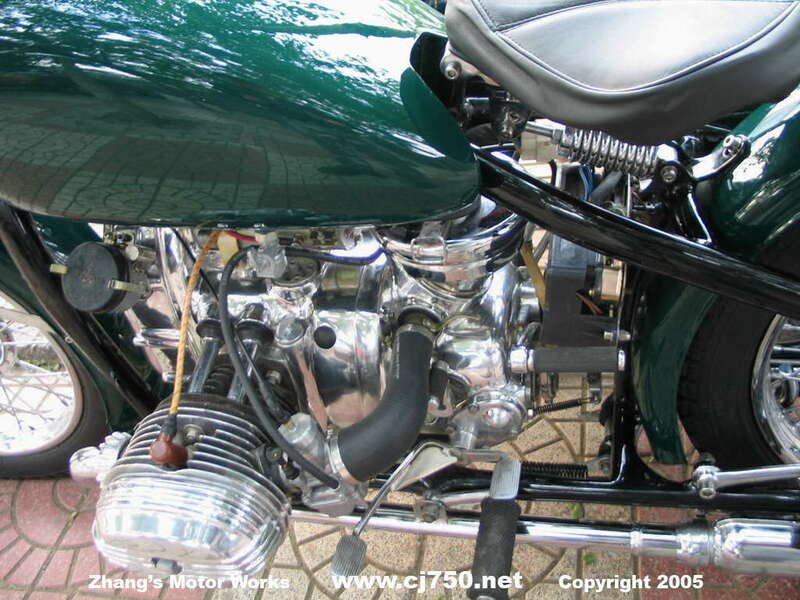 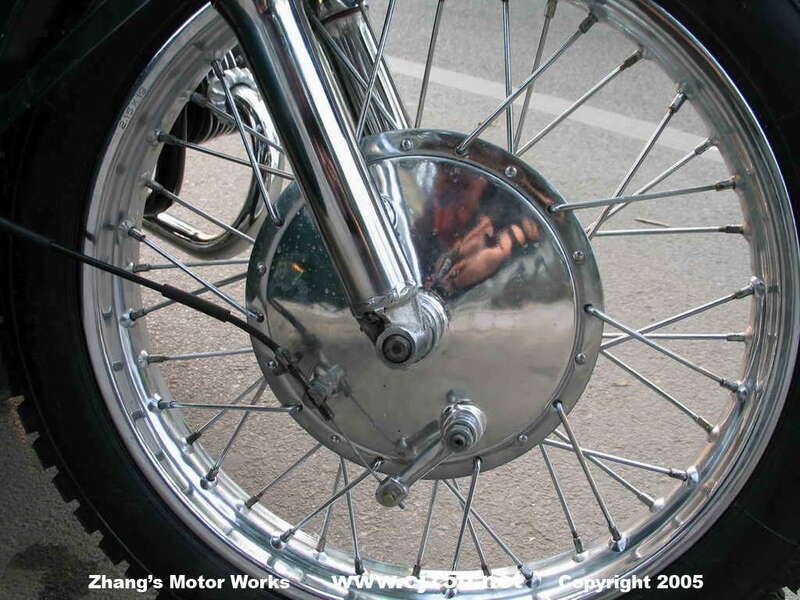 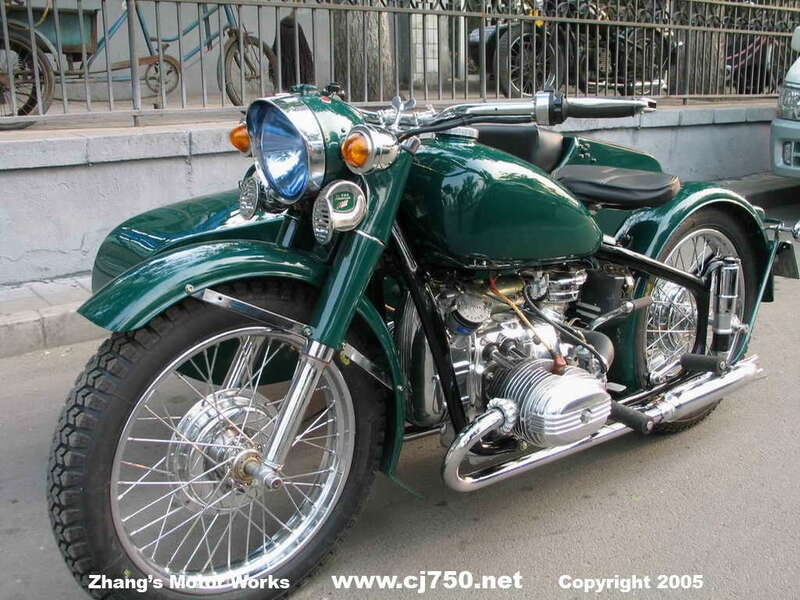 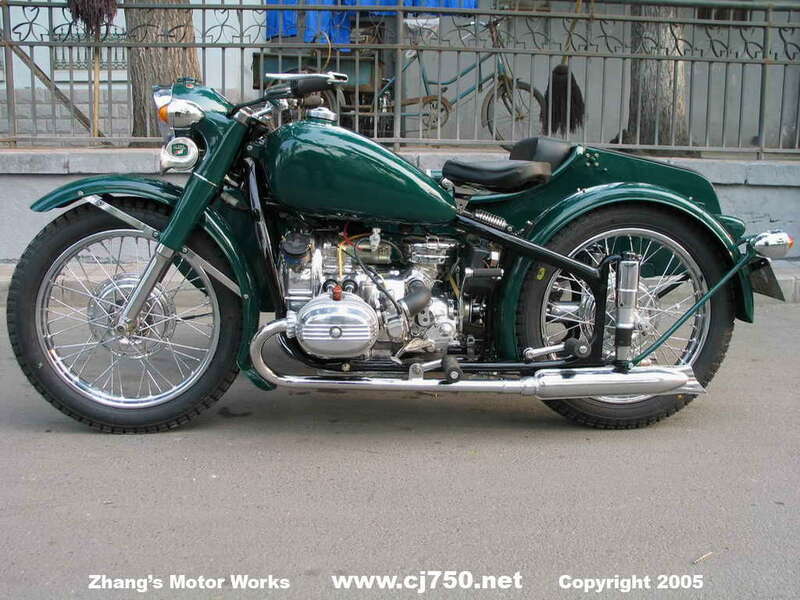 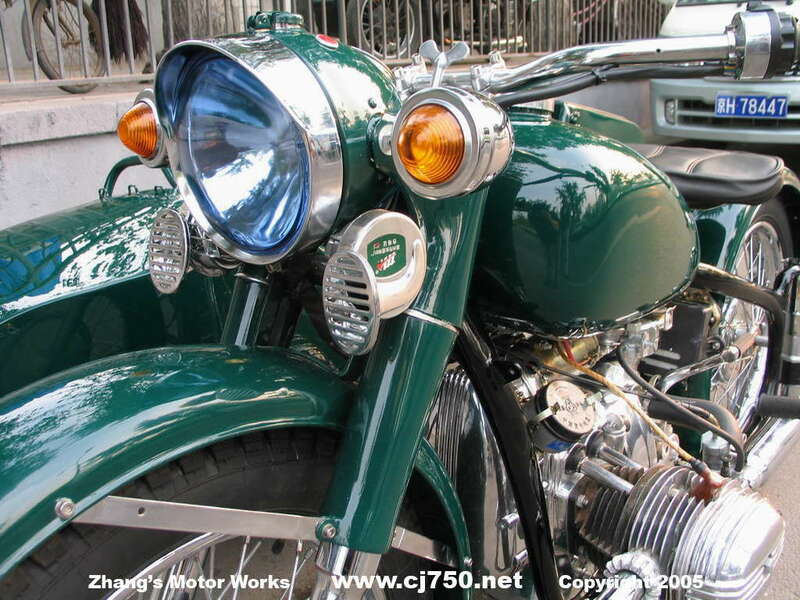 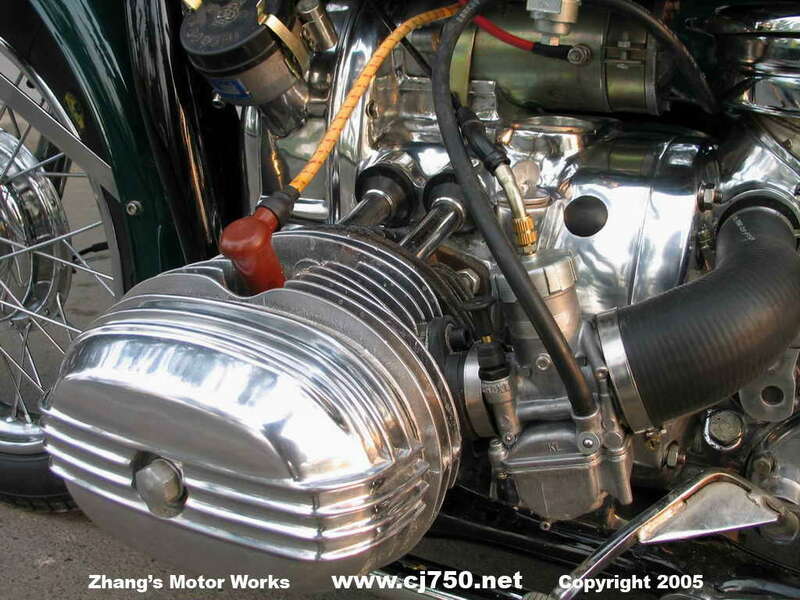 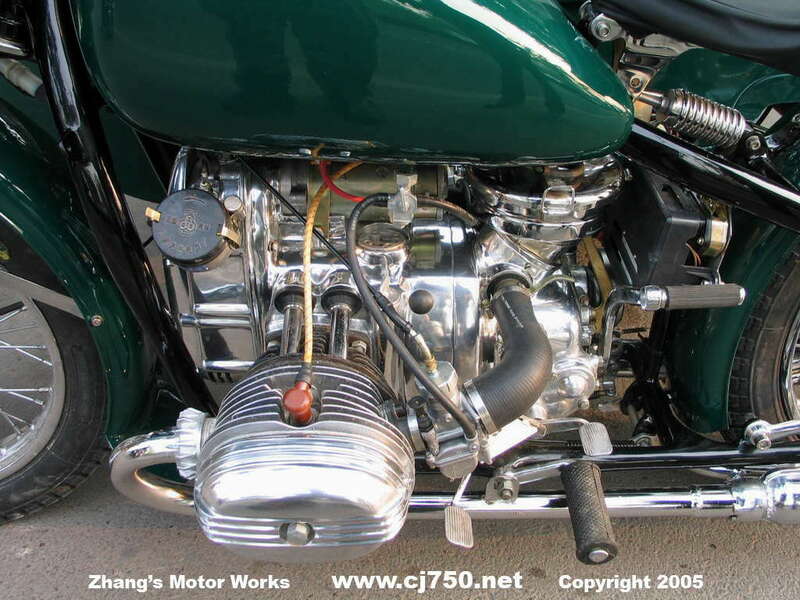 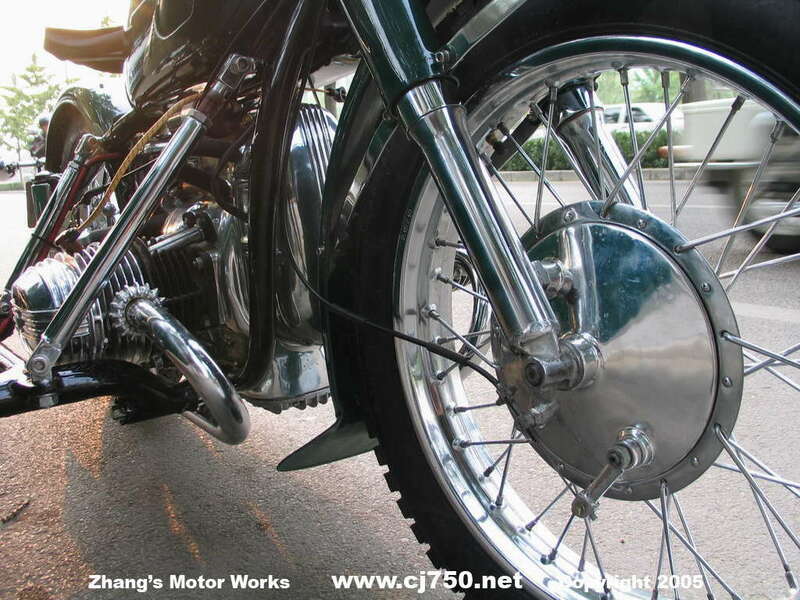 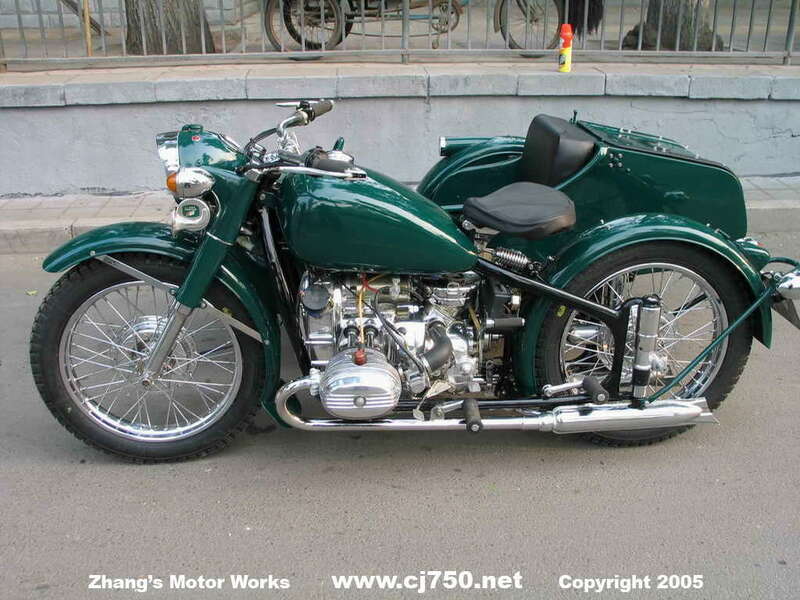 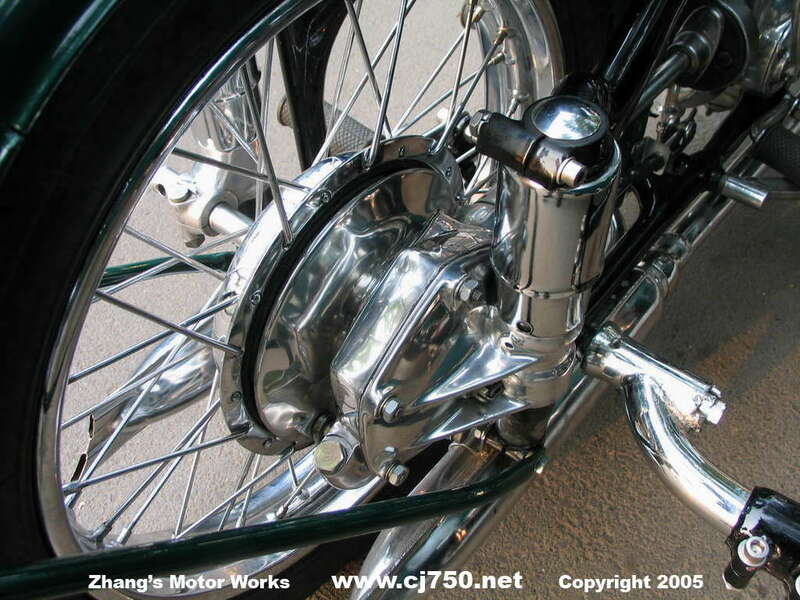 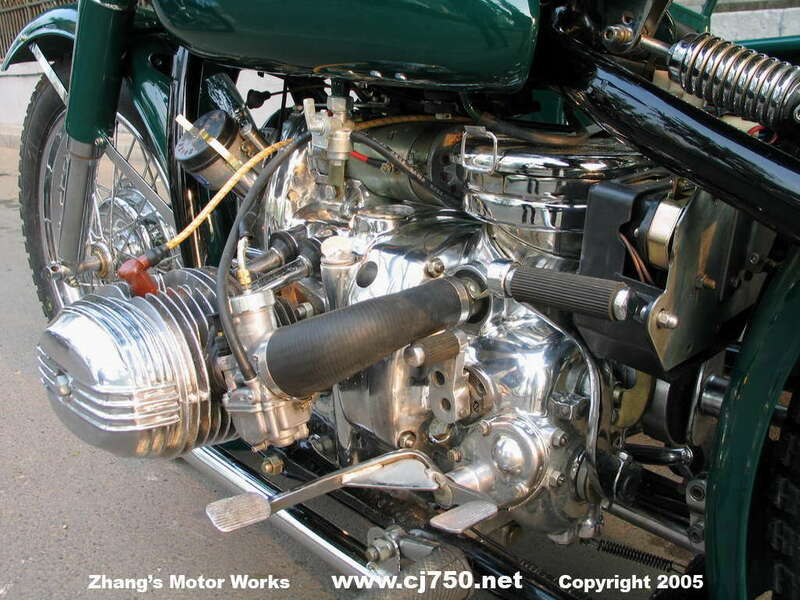 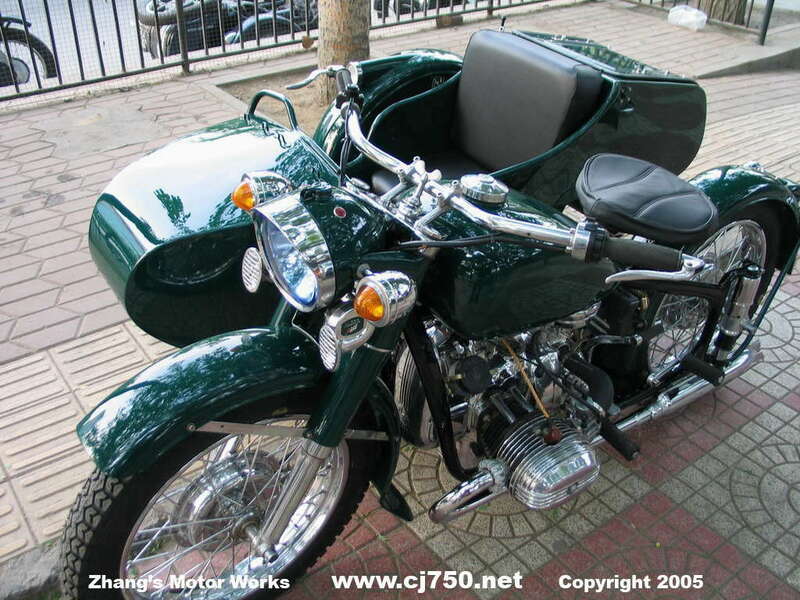 Visit us for a Chang Jiang 750 and know that you are getting the best price in Beijing and on the internt. 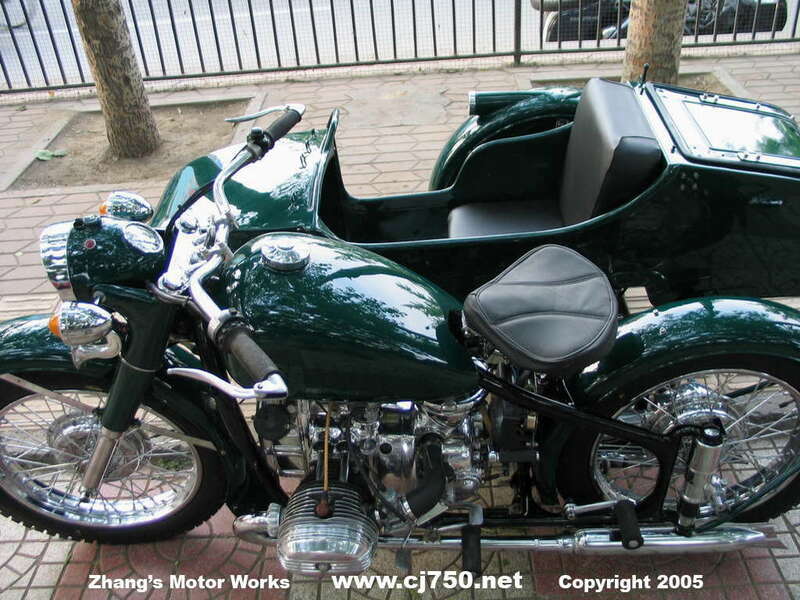 No bargining, no regrets, we gurantee that you will be satisfied. 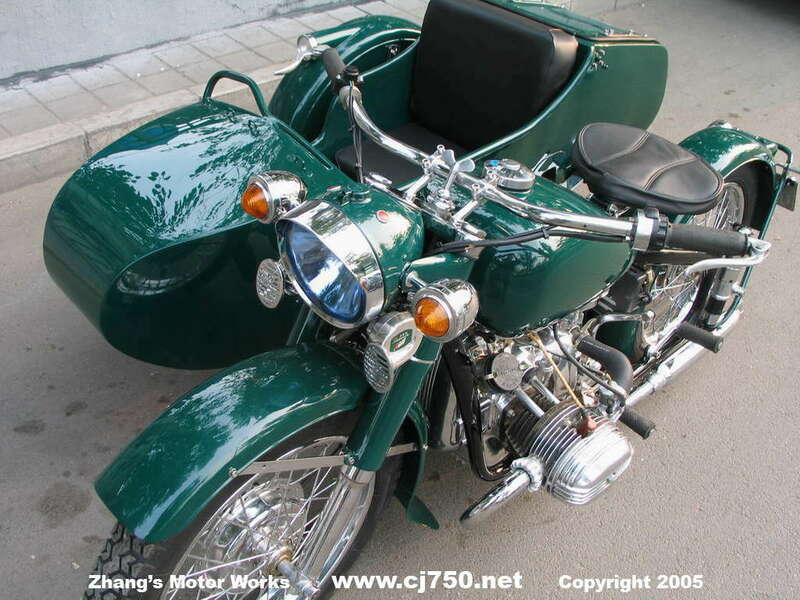 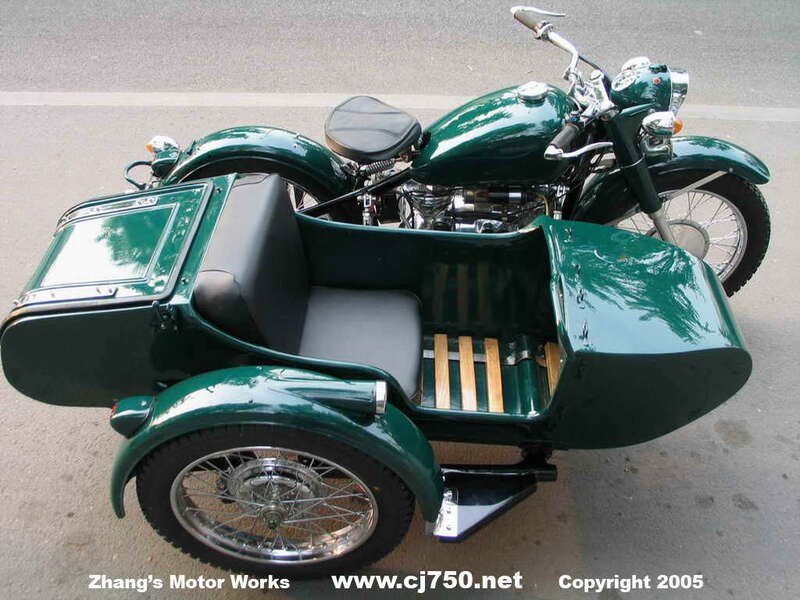 We really have to thank Danny California for his inspiration on making beautiful sidecars and leading the market with very good looking Chang Jiang 750 sidecars.